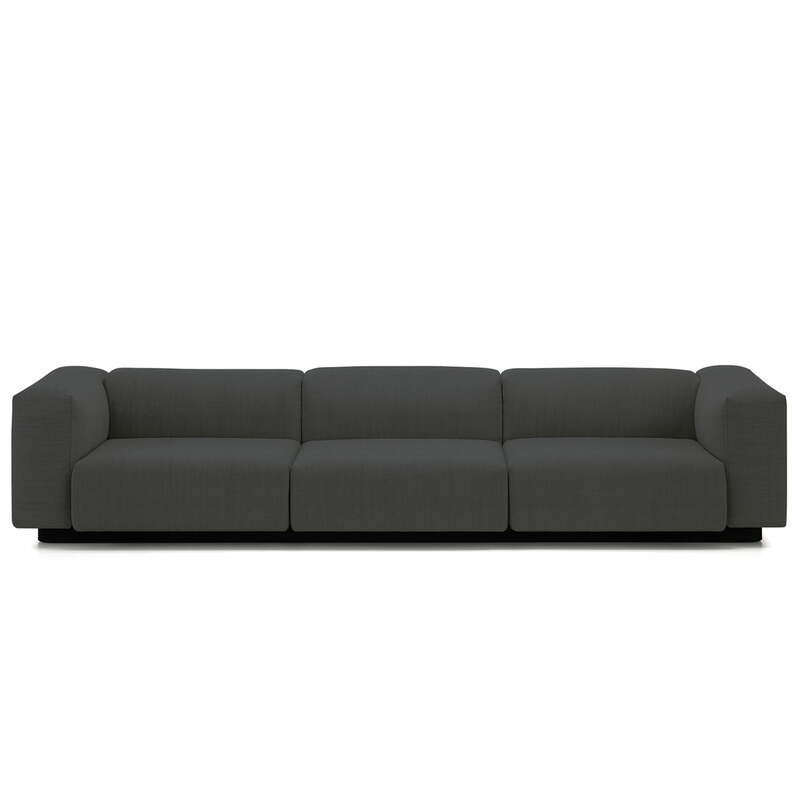 Individual image of the Soft Modular 3-seater from Vitra in anthracite (Laser 03). The 3-seater consists of two elements with back- and side-rests and a middle piece. 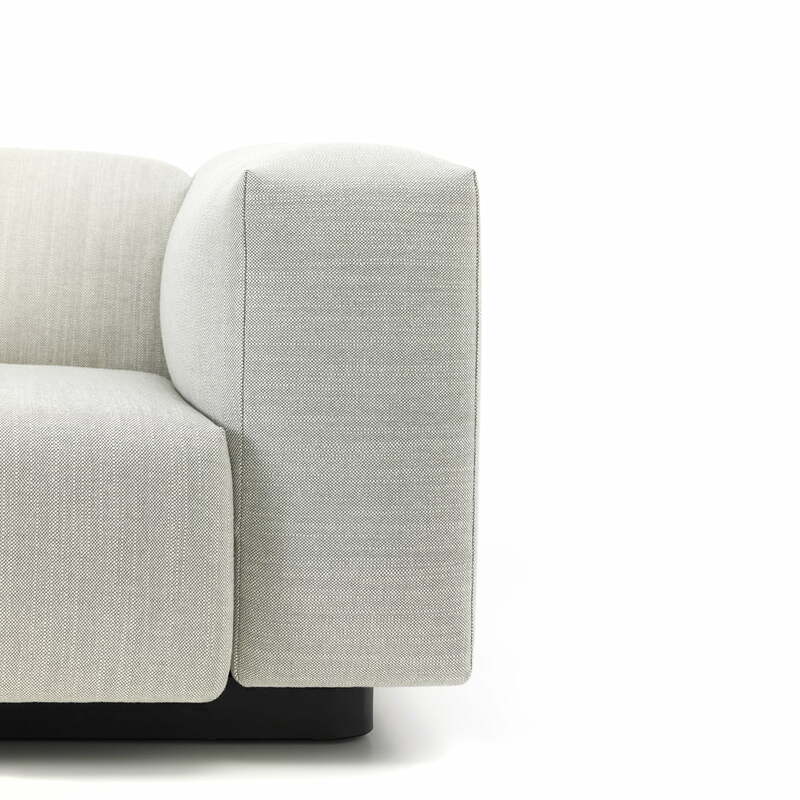 Individual image of the Soft Modular 3-seater from Vitra in warm grey (Laser 05). 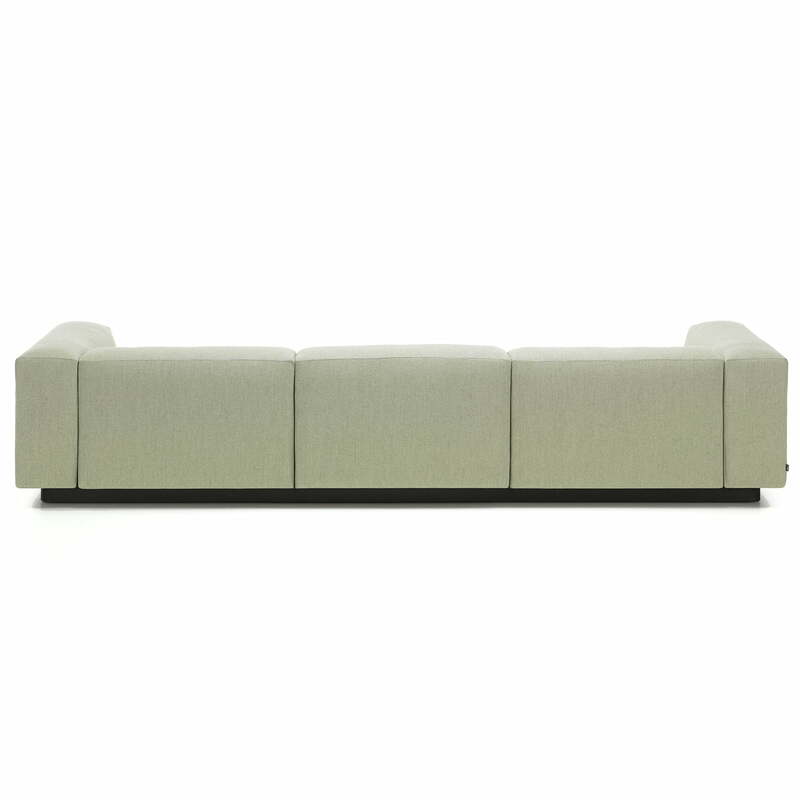 The 3-seater consists of two elements with back- and side-rests and a middle piece. 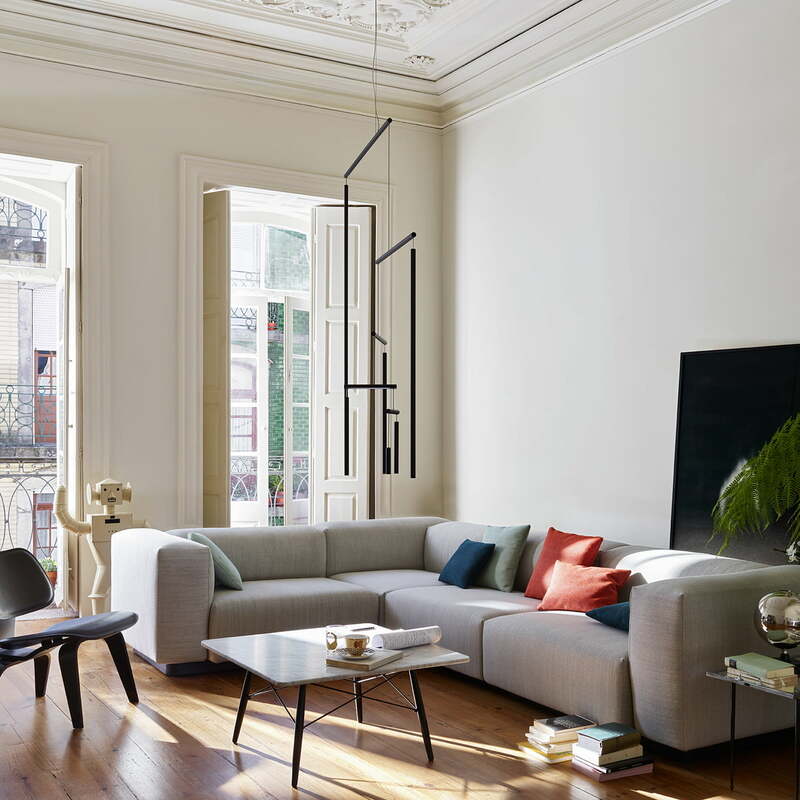 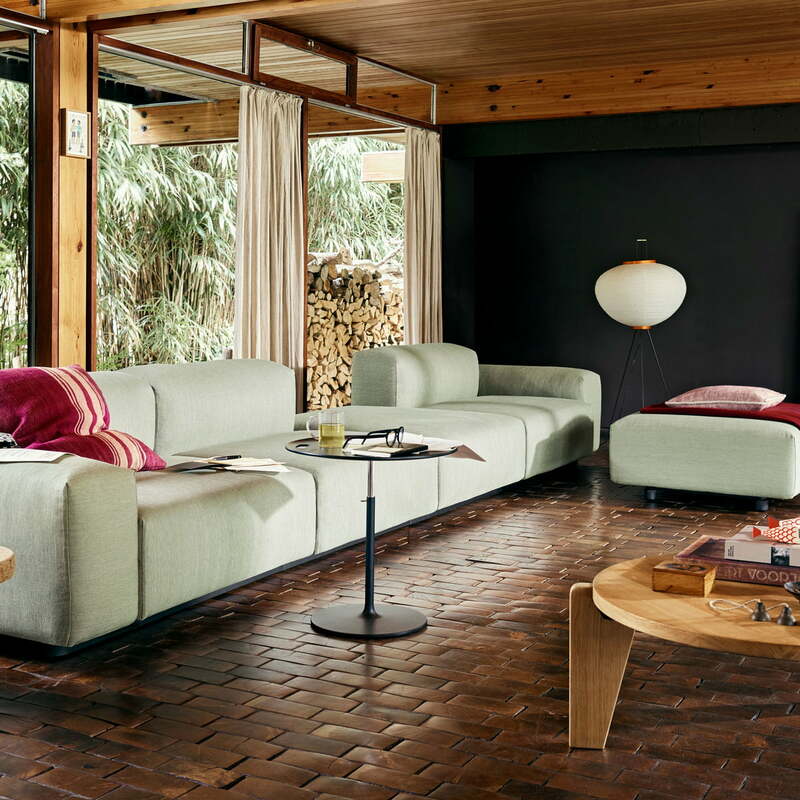 The floor-level Soft Modular Sofa by Vitra fits perfectly into the mid-century style living room. 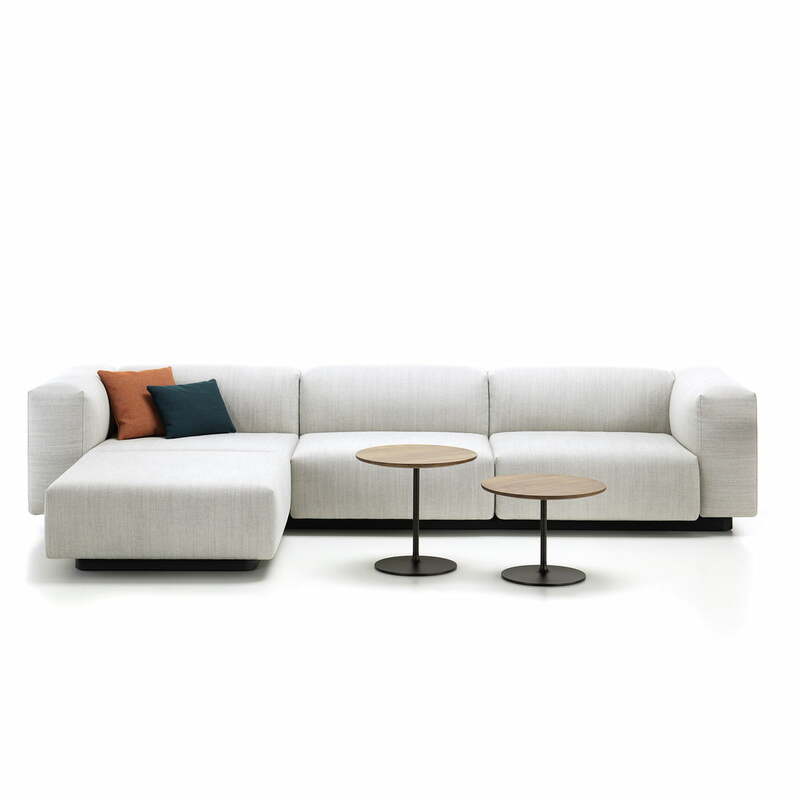 In front of it, he practical Rise Table can be seen, also by Vitra.